Apple has officially started selling third-party Apple Watch accessories in-store for the first time. Currently there appears to only be one brand, ElevationLabs' NightStand for Apple Watch, but more are likely to roll in over the coming months. 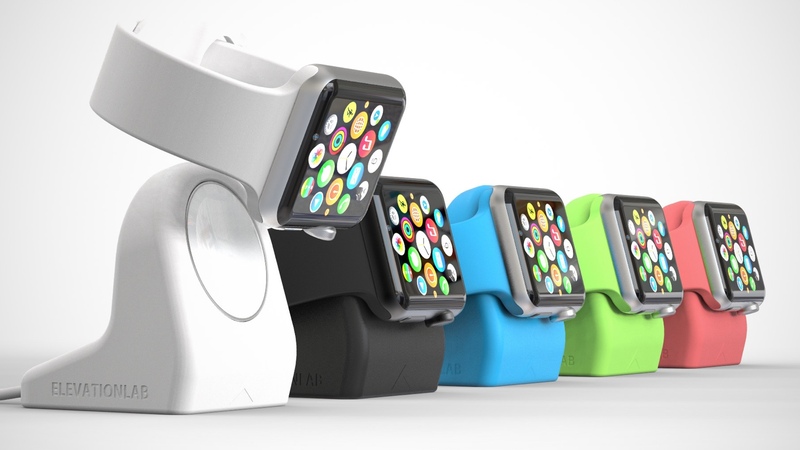 The stand, which retails for $30, is designed with the Apple Watch Sport model in mind. It is coated in soft, synthetic rubber similar to the rugged material of the Apple Watch Sport. MacRumors notes that it was originally only offered in blue, black, and red, but the ElevationLabs may have partnered with Apple to produce the stand in colors that match the Sport band. Many Apple Watch stands are designed to dock the device in portrait mode, but the NightStand allows you to lay the watch sideways, which means it is compatible with Apple's upcoming Nightstand Mode in iOS 9. ElevationLab's NightStand is currently only available in retail stores and not online. An unnamed source told MacRumors that additional accessories might begin appearing in retails stores as soon as September. However, there are already dozens of third-party accessories on the market. Check out some of our favorites.